LADY LUND: What it's like to go through a miscarriage. and how you can help! What it's like to go through a miscarriage. and how you can help! 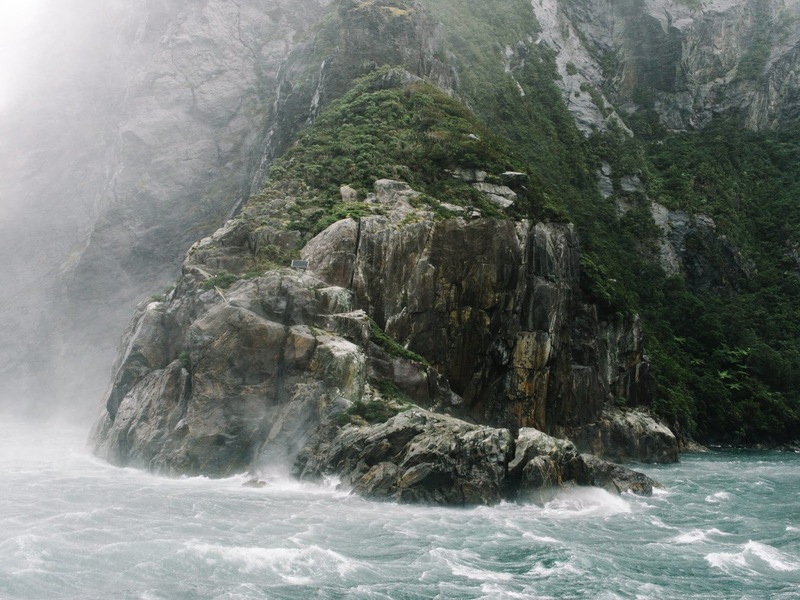 Photo Taken at Milford Sound. Fitting because any trial can feel like a bit of a storm. I'm writing this because it just feels good to talk about the very best, and the hard things in life. We can all learn from them, and I have found a lot of comfort from those that have written about the subject. We decided on a whim that maybe it was time to think about adding a little sibling to the family for Peter. I was able to get pregnant right away, and we found out I was pregnant as early as we could have. Went and peed on a stick, and there was the positive sign! I couldn't believe it. So many emotions, it was so crazy this would be happening again, and it was so fun to immediately start talking to each other about how Peter would be with a new baby brother or sister when it came time. We cleared out a whole bedroom, knowing that Peter would move from the nursery into there. Taylor had some free Freshly Picked shoes he could pick out, and we picked some out for the baby that was coming. Blue little moccs, and they are so cute and tiny. The due date landed exactly on valentines day! It was so fun, because Peter was born on Christmas, and we couldn't believe it was possible to then have this baby on the holiday of love. Just perfect timing. Peter would be just over 2, and it was happening before I would be photographing during the busy wedding season of summer. My pregnancy symptoms usually start out with exhaustion. Pure exhaustion. It really is kind of crazy, because I felt like I could go to bed for the night at 5pm. I never felt nausea, but I didn't make it to 8 weeks, so I just felt like that would maybe come later. We were a week away from surprising everyone with the news when I miscarried. I started having some spotting. I didn't even think anything of it because I had spotted with Peter (and I swore I had mild cramps too), and he arrived here safe and sound. I told Taylor not to worry, and everything would be fine. Cramps then started coming, nothing super painful yet, and I just brushed it off. They lasted throughout the night, and I had to war a pad. I never soaked through the pad, and when morning arrived, I was done cramping. I called my Dr's office just in case, but I really didn't think it was a miscarriage. They told me to come in, and so I did. We did a vaginal ultrasound, and the doctor couldn't see anything from it. He said that I either had already miscarried, had an ectopic pregnancy, or that I wasn't as far along as I thought. I could rule out the third because I definitely knew when I conceived. Once I left the doctor, I was a bit worried that it was an ectopic pregnancy. I was pretty sure I hadn't miscarried yet, but I just had to wait. I ended up miscarrying that night. I arrived to my sweet friends house, and I felt something fall out of me. I went to the bathroom, and there it was. Some people miscarry differently, and it all comes out slowly. Mine came out all at once, and it was very startling. It is also undeniable. You will know if you miscarry. I was honestly shocked it had just happened, and it was a little hard to process that night. I was full of emotions, but didn't get home until late, so I didn't tell Taylor until right before he went to work. Which was a hard conversation to have, and I was so close to just keeping it to my self for a bit. If you do miscarry, be prepared for lots of blood draws, and a doctor's office that isn't sure how to say I'm Sorry when they tell you it was a confirmed miscarriage. That whole process just feels so cold. But maybe others will have a better experience. I might also just add in a little tidbit that sometimes guilt might seep in. I started feeling guilty I was working too hard, or that I wasn't getting enough rest, and that's why I miscarried. Or that I wasn't taking a prenatal before I became pregnant. Or that my body was just too messed up from labor & delivery with Peter. Everyone told me that it wasn't a viable pregnancy, and that miscarriage would have happened either way. But it's super easy to ignore that, and just think of all the ways you did wrong, and made the miscarriage happen. I just tried to take care of myself, treat my body right, and remember things I should do for the next time. Miscarriage for me has a lot of ups and downs. I was grateful it wasn't an ectopic pregnancy, sad that February 14th, 2018 wouldn't be a due date for my child. During all of this, my body had just felt like it went through labor. I do like talking about the miscarriage to others because it felt like it happened. And we can't truly get over something unless we acknowledge our pain, and talk about it. We were so ready for that baby to come, but then we never were able to have that chance. We lost a baby we didn't yet know. But it still felt like a loss, and us humans usually do share when we have a big loss in our lives. So sharing I am to celebrate the life I did have in my body for those 7 weeks. Did you know you actually can go through the same postpartum depression after a miscarriage that you can when you have a baby? I didn't know that, but my hormones were crazy, and the loss of the baby consumed my every thought. I had a pit in my stomach for a straight two weeks, and I was pretty good at holding it together, until the times when I just couldn't anymore. I felt like I was still just going through the motions of life, but all I wanted to do was sit down and think about what I had just lost. It is so hard, and I didn't know it was quite like this until I experienced it. & I definitely had a form of depression. I had just started my maskcara business, that I absolutely loved, and was in the middle of wedding season as a photographer (which I love too). While I knew why I wanted to do those things, and how grateful I was to be able to make an income in ways that I did genuinely love, I didn't care about it. I didn't care about much of anything in my daily routine besides my family. I wasn't doing what I should be doing, and I felt like all I could think about was that loss. Honestly, what got me out of it? Going to church (being religious in some way), finding strength in talking about it. Deciding to do one fun thing each day with Peter. Posting about maskcara and getting in a routine of taking care of my face and putting makeup on honestly helped me feel good about myself, and it felt so good to apply this makeup to others for them to see their beauty. I found being busy in photography forced me to not pity myself in my thoughts, and wish for that due date to still be real. I started my prayers each night by thinking of what I was grateful for that day. I'm not going to lie that my grief is over. I think it takes time. I think it's important to know that everyone has a different timetable of healing, and if you know someone who goes through something like this, just know putting a bandaid on it after just a few days, can feel very painful to the person going through it. Don't get mad at them for not getting over it soon enough either. Let them feel the pain, and let them take time to heal from such a loss. It still hits me in waves, and is just a really hard emotion to process even now. My biggest advice to anyone that has someone struggling with anything (including miscarriage), is to connect with them somehow. Validate what they are going through, and bring it up when you are in conversation. I know maybe there are others who don't want to talk about it, but then you probably wouldn't know about it anyway. So if you know, they are probably the type that wants that connection, and wants to not go through it alone. Also, if someone has unfortunately suffered from multiple miscarriages, or not being able to become pregnant, I can only imagine how much deeper and harder that pain must be inside of them. I can't fathom what that is like, but be delicate, and helpful, and connect with them too. We know we will have more children in the future, and we are so grateful for the support we had when we told people about the miscarriage. So thank you!